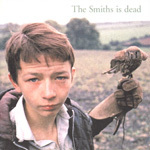 In 1996, French magazine Les Inrockuptibles voted the Smiths' "The Queen Is Dead" the best album of the eighties. To commerate the album's 10th anniversary, they released this compilation of covers by current UK acts. The songs were presented in the same order as the original album sequence. "Vicar In A Tutu" - Therapy?